If you're holding on to a now retired AT&T Mobile Share Advantage plan, which was available from August 2016 to January 2018, changes are coming. 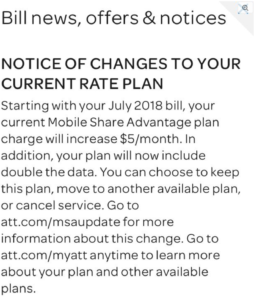 Beginning on July 1st, 2018, Mobile Share Advantage (MSA) Customers will see both their data and their plan prices increased. 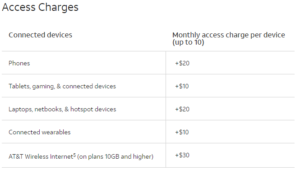 There is no option to opt out of this change, unless you happen to have a contract remaining on these plans. .
Data will be doubled for plans with 30GB or less data, and plans above 30GB will be given an additional 30GB. 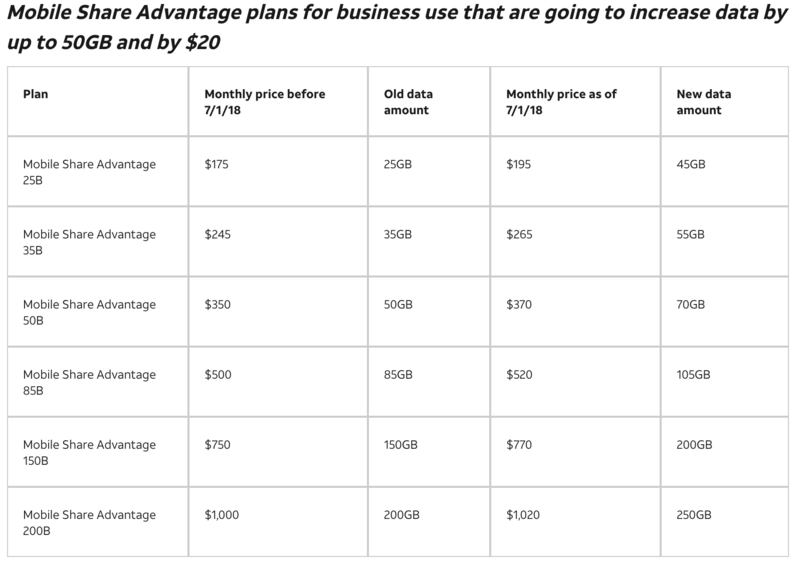 Price increases range from $5 - $20 per month, dependent on your plan's original data amount. The Mobile Share Advantage plans were retired in early January 2018, replaced by the newer, more limited Mobile Share Flex plans. We recommended then that those on the Mobile Share Advantage (and the old Mobile Share Value) plans hold on to what they had, rather than switch over to the new more expensive Flex plans. The Mobile Share Advantage plans offer shared pools of data available to a 'family' of devices. On top of paying for a bucket of shared data, you pay a "line access charge" for every device sharing in the data. 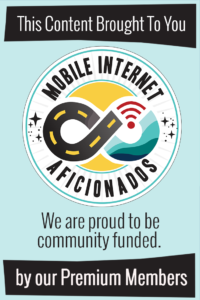 This fee is $20/mo for smartphones and mobile hotspot devices, $30/month for a Wireless Internet (Homebase) device, and $10/mo for most other devices. Taxes and fees are additional as well. Rollover Data: All plans still include rollover data, but any rolled over data is only usable in the next billing cycle. Regular monthly plan data is consumed first. So if you have a 10GB (now 20GB) plan and only use 5GB this month, next month you will have 35GB available. But to tap into the extra 15GB, you have to use up your entire 20GB of plan data FIRST - meaning the following month you'll have no data left to roll over. Overage Charges: There are no overage charges. 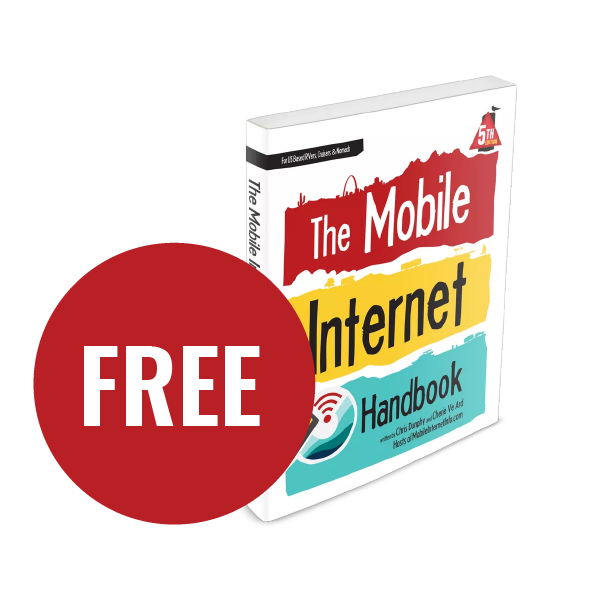 Instead, once a plan's data is used up, speeds drop to a molasses rate of 128kbps (2g). 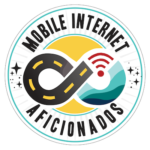 International Roaming: International data roaming is only available in Mexico and only for plans that are 10GB and larger - and only for some devices. 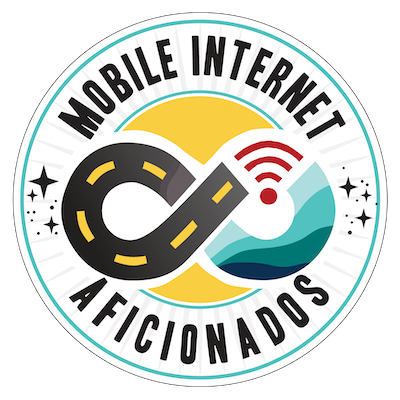 Connected vehicles, wearables, and the Wireless Home Internet (Home Base) device are exempt - these devices will be charged pay-per-use roaming rates in Mexico. The Advantage plans do not include any data roaming in Canada. Video Streaming: Like most AT&T plans, Stream Saver is enabled by default but it can be turned off - this feature limits video streaming to 480p resolution to save your data. The plans do not include any "free" streamed video content or HBO (that feature is exclusive to the Unlimited plans). Notice sent to MSA customers in their online account notifications. 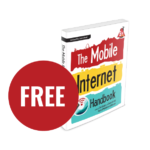 The involuntary plan price and data hike means deciding if the Mobile Share Advantage plan you will continue to meet your needs. While a forced price increase is always jarring, the substantial data increase most of these plans are receiving may well worth the price. But, if you're on a 30GB plan and never hit your 30GB cap, having your data increased to 60GB and being charged an extra $10 for that unused data may be a kick in the pants. In the same scenario, a nomad that is constantly monitoring their usage to keep it under their 30GB cap may be thrilled with an inexpensive data doubling. In comparison to the pricing schemes of the Mobile Share Flex plans, which rolled out in early January 2018, The Mobile Share Advantage Plans are still advantageous. Flex plans are only available in 1GB, 5GB, 10GB, or 20GB buckets. 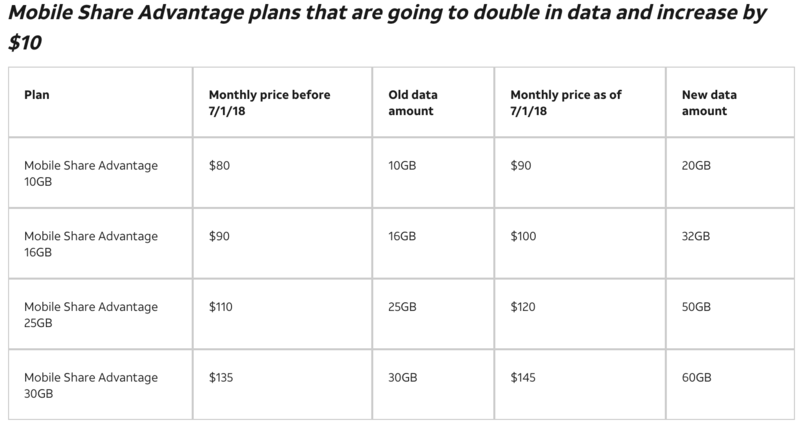 Comparing Mobile Share's new pricing/data to AT&T's Unlimited Enhanced Plus plan takes a bit more thought. You'll need to consider how you use your data - not just how much data you use. Unlimited Enhanced Plus plans include unlimited on device data, with 15GB of mobile hotspot data for $80 for a single line. Based on a single device plan. 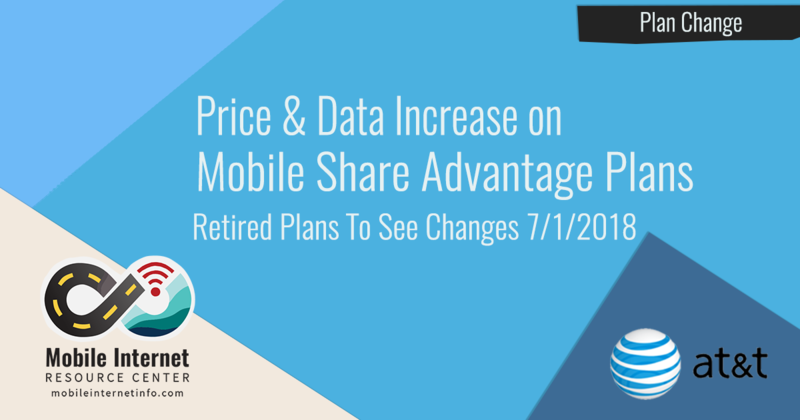 Mobile Share Advantage plans are retired and not available for new customers. Advantage and Flex plans can be shared amongst multiple devices for an additional fee per device. Enhanced plans are for a single line only. Biggest Data bucket for Flex plans is 20GB. If you have an existing Advantage plan you can add or remove lines on that plan. However, you cannot change your data allotment. If you try to do so you will be forced onto one of the newer Flex plans. Mobile Share Value 'Double Data' Plans - Before Mobile Share Advantage was introduced in August 2016, there was 'Mobile Share Value' plans. For some of 2014 and 2015, AT&T offered a 'double data deal' at no extra charge for customers who opted in. We know many members and readers who still hold onto these plans.